Breast Cancer Kills Half a Million People Every Year. When actress Angelina Jolie announced to the world that she had a double mastectomy to protect herself from the risk of developing breast cancer or ovarian cancer, many people were shocked. Jolie carries the BRCA1 mutation, an inherited genetic mutation that makes you more likely to develop ovarian cancer or breast cancer. According to researchers, these tumor suppresser genes make women more likely to develop breast cancer or ovarian cancer, and give men an increased risk of developing breast cancer as well. Women who have inherited either the BRCA1 or BRCA2 mutations are five times more likely to develop breast cancer (60% of women with the mutation will develop breast cancer versus 12% of women without the mutation). Theses mutations are more commonly found in certain ethnic groups: Eastern-European Jews, Norwegians, Dutch, and Icelandic people. But while these mutations make women and men more susceptible to developing cancer, it still takes a lot of courage to opt for radical surgery such as Jolie did—she chose to undergo a preventative double mastectomy to prevent the chance of developing breast cancer, and went through breast reconstruction surgery. In an article she wrote explaining her decision, published in the New York Times, she said her doctor told her she had an 87% risk of developing breast cancer and a 50% risk of developing ovarian cancer. She explained how she watched her mother suffer from breast cancer for almost a decade before she passed away at the young age of 56—a fate she wanted to avoid. Ultimately, it’s a decision that will change your life, how you feel about yourself and your body, and might help you alleviate your own fears of developing breast cancer. But it should never be made lightly. You must include your family in the decision—Jolie pointed out that she couldn’t have done it without her supportive husband, actor Brad Pitt—and that her children are aware of her decision. Above all, one of the most important things that can be learned from Angelina Jolie’s decision is the fact that she sought to educate herself about her risk factors and her family history and used that information to raise awareness, in the hopes of helping other women become more aware of their own health outcomes. Being aware of all the preventative measures you can take to reduce your risk of developing a serious illness like cancer is vital. Jolie, A., “My medical choice,” New York Times web site, May 14, 2013; http://www.nytimes.com/2013/05/14/opinion/my-medical-choice.html, last accessed May 14, 2013. “BRCA1 and BRCA2: Cancer risk and genetic testing,” National Cancer Institute web site; http://www.cancer.gov/cancertopics/factsheet/Risk/BRCA, last accessed May 14, 2013. 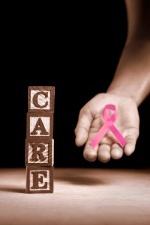 “Breast cancer and preventative mastectomy,” WebMD web site; http://www.webmd.com/breast-cancer/guide/preventive-mastectomy; last accessed May 14, 2013.